Note: The Functions runtime scans log files to watch for new or changed blobs. This process is not real-time; a function might not get triggered until several minutes or longer after the blob is created. In addition, storage logs are created on a "best efforts" basis; there is no guarantee that all events will be captured. Under some conditions, logs might be missed. If the speed and reliability limitations of blob triggers are not acceptable for your application, the recommended method is to create a queue message when you create the blob, and use a queue trigger instead of a blob trigger to process the blob. 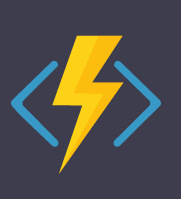 Azure Functions is awesome! I'd like to propose for more convenience.